The much anticipated wine, spirit and culinary event of the summer, the 9th Annual Beaver Creek Wine & Spirits Festival presented by Wine Spectator Magazine, returns Aug. 7, 8 and 9 in beautiful Beaver Creek, Colorado. 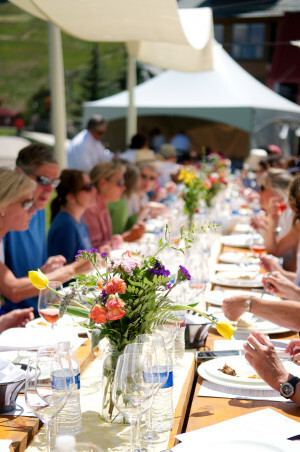 The Beaver Creek Wine & Spirits Festival is set for Aug. 7-9. This unique event incorporates the intimate location in which it’s set with events like Friday’s Manhattans & Margaritas sippings on the deck of Park Hyatt at the base of the mountain, Saturday’s Walk & Wine, where a guided hike leads to a gourmet farm-to-table lunch in Creekside Park and Sunday’s Dash & Dine with a 5K run and brunch bites in the park with gorgeous, green mountain views.